J.M. 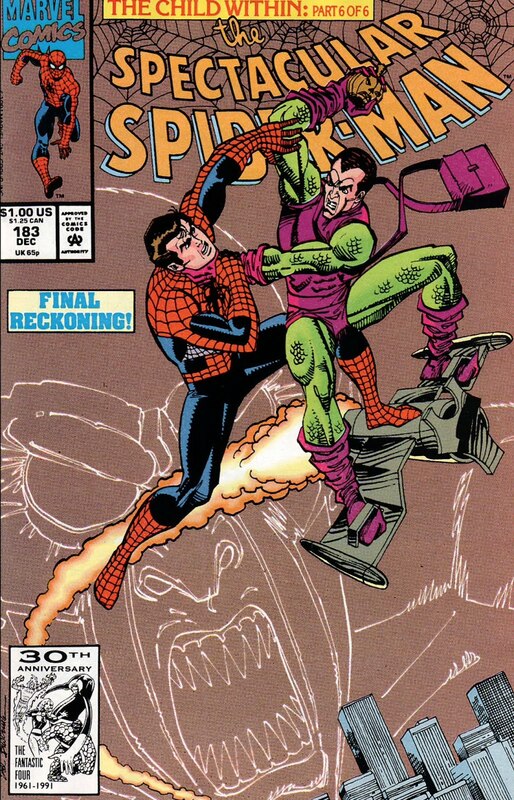 DeMatteis's CREATION POINT: HAPPY BIRTHDAY, SAL BUSCEMA! Today's the birthday of another all-time Marvel great, Sal Buscema! Working with Sal on Spectacular Spider-Man remains one of the highlights of my career. The man can draw everything—from big action to quiet human moments— and weave it all together with grace and power. You can't force creative chemistry, you can't make it happen. Working with Sal, the chemistry was there from the first page, first panel. We intuitively understood each other and the stories just flowed between us. The result, I think, was some of the best work either of us has ever done (I'm especially fond of this story). So here's to a fantastic collaborator and a truly good person: A very happy birthday, Sal—and many more! Hello, my name is Otis, I am 7 and I love Abadazad. Please can you bring it back? Please.Please.Please. I'm reading Imaginalis at the moment it is cool 😎. Hi, Otis! Thanks for getting in touch. The Walt Disney Company owns the rights to ABADAZAD and it can only return if they decide to bring it back. I would LOVE to finish the story. ABADAZAD means the world to me and I'm so glad to hear that you enjoyed the books. Very happy, too, that you're enjoying IMAGINALIS. If anything changes with ABADAZAD, I'll be sure to announce it here at my website. Thanks again for getting in touch and for you ABADAZAD enthusiasm. Sal Buscema. Another link in the long line of comic artists who just explode with personality. You never every character with a look. I'll ad mit, that personality does alienate people, and I get that. That kind of force runs hot and cold. 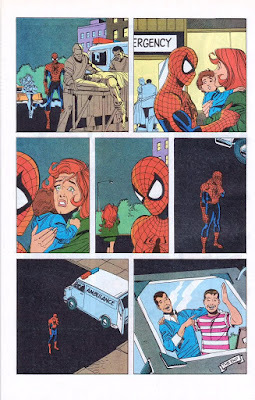 There are a few other artists who walk that line I do not care for, however I love Sal Buscema. If you ever look into his early comic art it looks a lot like his brother's or maybe Romita. But as time went on he made it his own. Either intentionally or not, it looks a little Ditkoat times. And how about that atmosphere. His 90s Spectacular Spider-Man captured the feeling of a city at the time. Still gritty, but a little polished. LIke they don't want you to know. It is hard to put into words, but he is amazing in my book. He is Spectacular. Maybe even, Web of! HE is what? "Hard to put into words" or "web of?" He is all the superlatives! Abadazad is great! Imaginalis is great! If you like those two, you should read "The Stardust Kid"....because that is great! Sal Buscema is great! Happy birthday Sal! Thanks, George! That's alot of "great"! The combination of your writing and Sal's art make your run on Spectacular Spider-Man one of my favourites. Sal perfectly conveyed the emotion and substance of your stories with his brilliant art. My first "real" comic book was your story in Spectacular involving Professor Power and the X-Men. Sal's art was a revelation and I could feel Professor Power's sadness at the conclusion of the arc. Thank you! Sal is just the best. It was an honor and a pleasure working with him.